Select locations of The Beer Store will open from 11:00am - 5:00pm for the Civic Holiday. For a complete list, please click here. 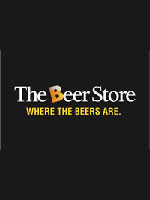 Visit them at www.thebeerstore.ca The Beer Store would like to wish their employees and customers a safe Holiday. The Beer Store would like to remind you that we take back 100% of all beer packaging as well as all wine and spirit containers.